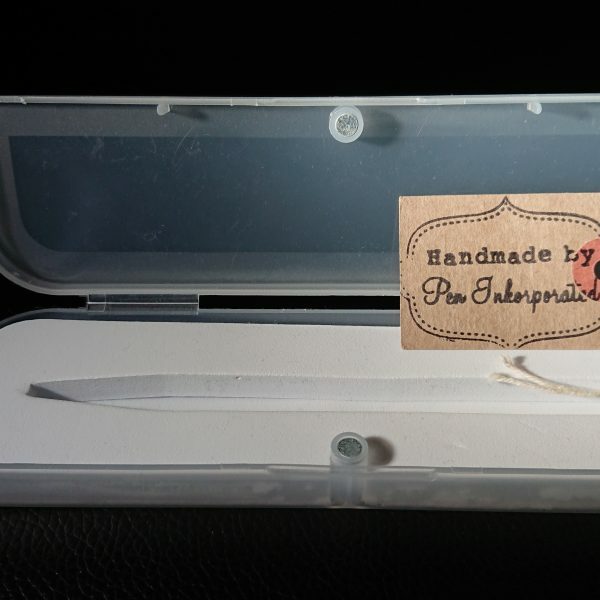 The waterclear resin in this pen was handmade by our resident crafter Michael. He mixed red and gold glitter into the waterclear resin to create this effect.The pen was then handcrafted on a lathe to create the shape and the result is a very sparkly pen! 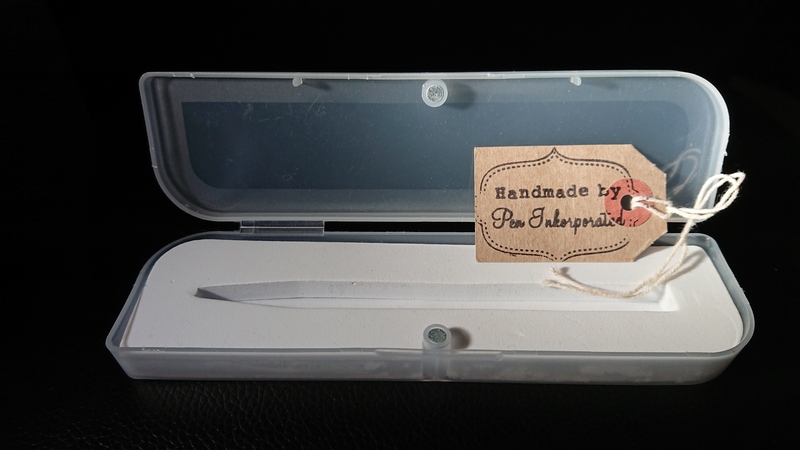 This slimline pen features gunmetal grey coloured metalwork with twist action opening. Takes cross pen refills (widely available online and from newsagents/stationery stores).